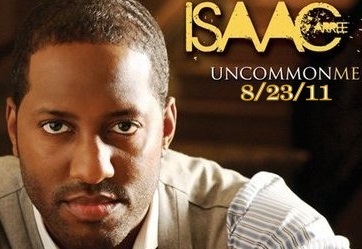 Isaac Carree (Men of Standard) has been hitting the airwaves HARD with his solo records. First his rendition of , "Simply Redeemed" took over the Christian radio stations all over & now, "In the Middle" is on! Currently in LA filming the video for this record, & I know for sure its going to be amazing! I'll be sure to post it once its finished. Also the album is out next month 8.23! I mean, its great to rock to all of the hip hop & rnb but your playlist is definitely incomplete with something that can actually help you make it through & make you better! Check my bro Ike's record "In The Middle" after the jump!